NEC spokesman Hang Puthea said on Tuesday that he was unsure when the missing results would be announced because images of election forms from 344 of the 1,646 communes were still needed, with many of the delays centered in Koh Kong province and the northeast. 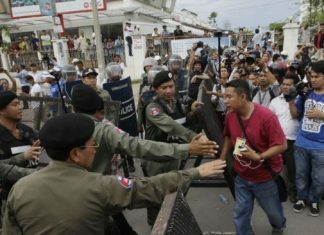 “They said they sent the documents to Phnom Penh, but we did not receive them,” he said, suggesting that internet problems or bad weather may be to blame. The forms were sent by Commune Election Committee (CEC) officials using their smartphones to computers at NEC headquarters, which sometimes could not process the data because of blurry photos or missing information, Mr. Puthea said. None of the delays were caused by election irregularities, he said. “I cannot promise when we will announce all of it,” he said. Before the election, the NEC said it would begin announcing preliminary results after the vote on Sunday and wrap up on Wednesday. Results from just 33 communes were added to the NEC’s website count from about 6 p.m. on Monday through on Tuesday at 3 p.m. The results could not be tampered with because the forms require approval by all nine members of the bipartisan NEC committee and ballots were placed in sealed bags, Mr. Puthea said. Results from the remaining communes would be posted only to the NEC’s website and would no longer be broadcast on state television, he said. 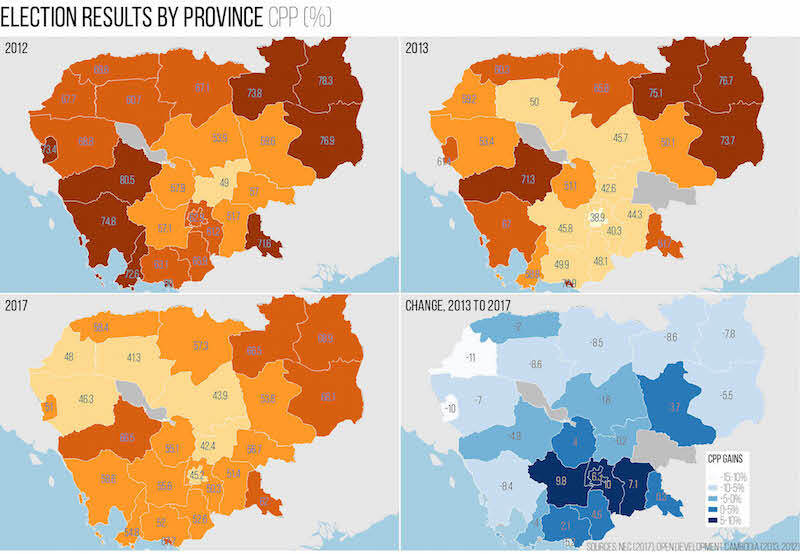 Unofficial tallies provided by CPP spokesman Sok Eysan last night showed the CPP winning 1,163 commune chief seats compared to 487 for the CNRP and one for the Khmer National Unity Party, with the CNRP providing roughly similar numbers. Mr. Eysan said the CPP won 6,521 councilor seats compared to 4,993 for the opposition. Newly elected commune chiefs and councilors will take office at least 45 days after the official announcement of election results on June 25, Mr. Puthea said. Mr. Eysan said he was unconcerned by the delay. Some observers accepted the NEC’s explanations. “People may suspect the NEC’s performance, but the technicality of the work would be harder than they think,” said Sotheara Yoeurng, the law and monitoring officer at the Committee for Free and Fair Elections. 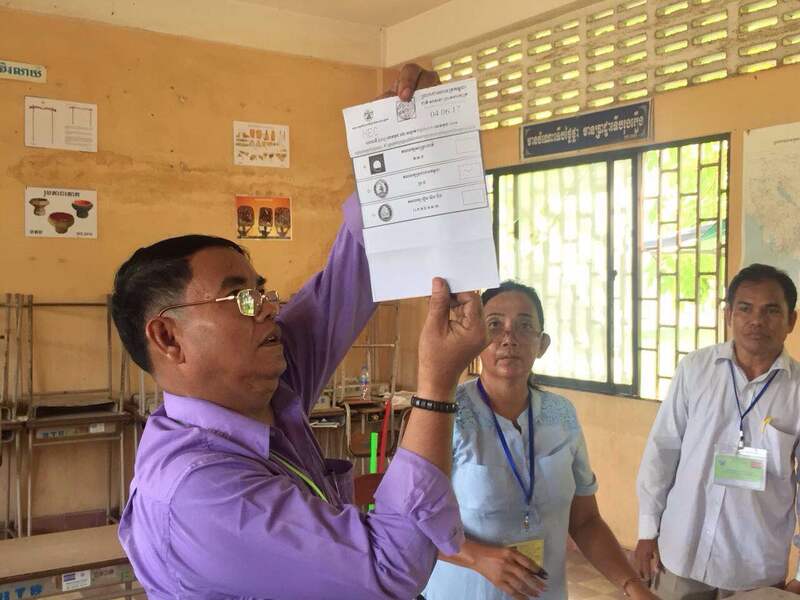 But Sam Kuntheamy, executive director of Neutral and Impartial Committee for Free and Fair Elections in Cambodia, said he was dissatisfied with the NEC’s explanation. 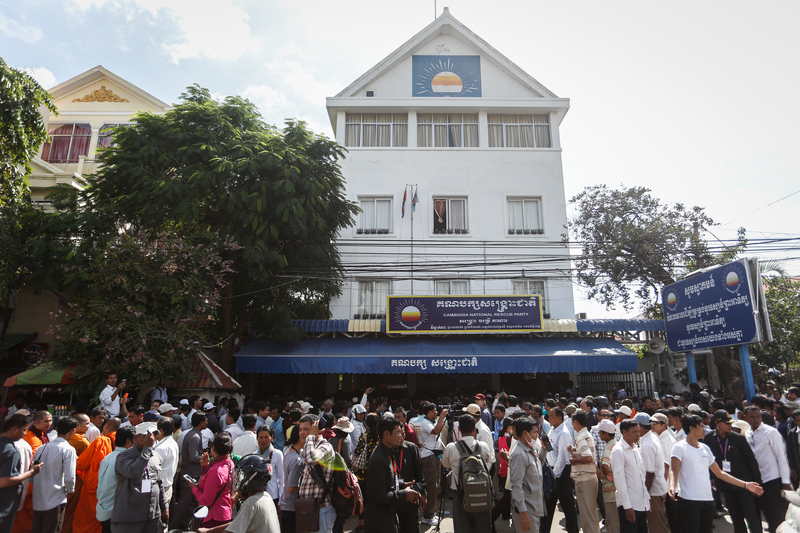 Mr. Kuntheamy said the commune results were recorded on a document called Form 1102, and that both major political parties as well as a group of civil society organizations calling themselves the “Situation Room” had already received a photograph of the form from most, if not all, communes’ respective party representatives or independent monitors. 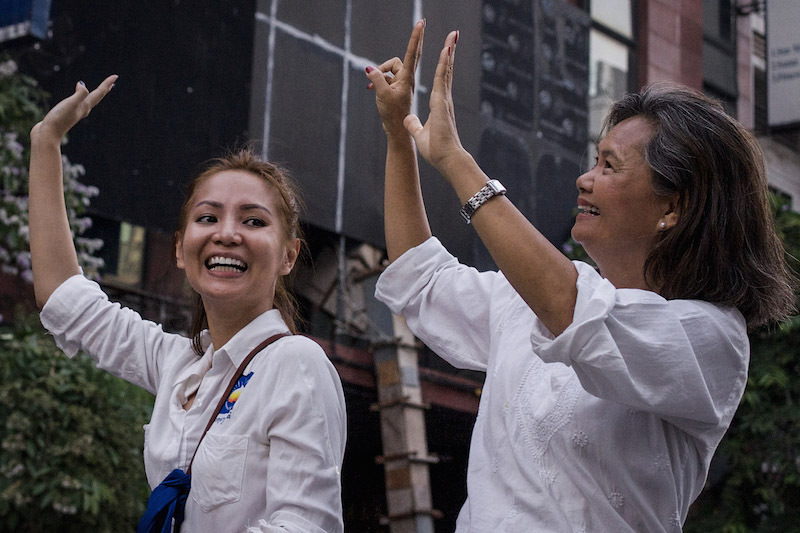 CNRP Vice President Mu Sochua said that she, too, had concerns about the delays. “The faster it is, the more transparent it is,” she said. The opposition intends to ask the NEC for a recount of ballots in six or seven communes where the CPP’s margin of victory was less than 0.5 percent, she said, bumping further questions about the delays to party spokesman Yim Sovann. But Mr. Sovann said it was too soon to reach any verdict on the holdup.